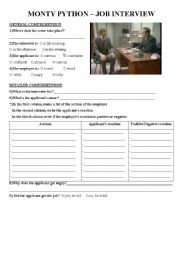 This worksheet was done to show an example of a job interview before my pupils did their own role play. This is OF COURSE a silly job interview, but it made them think of what you can/can´t do during a job interview. It´s also a good example for pupils of the famous "British humour". 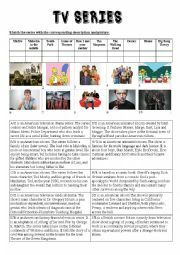 This is a worksheet I used to introduce a lesson about TV series. I used it with my low-level students. 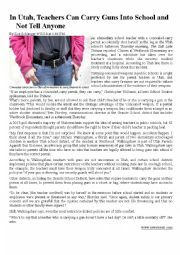 Here is an article I used to work on the issue of guns in the United States. 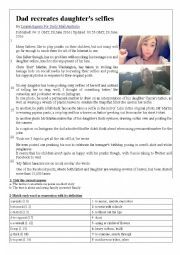 There is a variety of questions to make the pupils understand the article. Key is included. 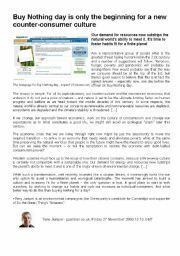 This text is an article about the Buy Nothing Day in England and more precisely about consumerism and environment. 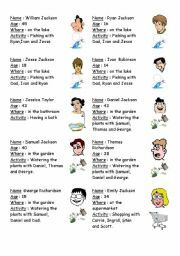 It´s followed by a series of exercises to help the students understand the text. 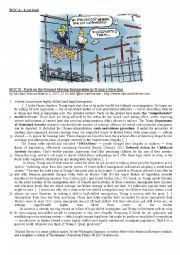 Here is an article from the Huffington Post which I shortened and added questions to. 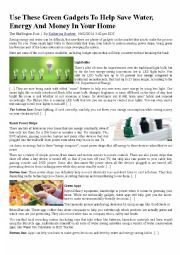 it´s about new gadgets to save energy. I used it in a lesson about environment.